A greatly respected and passionate leader, Diane Ramirez is the Chairman and Chief Executive Officer of Halstead Real Estate. 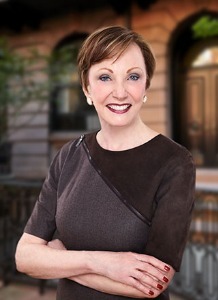 Under her thoughtful and careful leadership, Diane has strategically grown the firm from its original goal of three storefront offices in the most important neighborhoods in Manhattan to its current size of nearly three dozen strategically located offices with 1,300 agents throughout Manhattan, Brooklyn, Queens, Riverdale, the Hamptons, Hudson Valley, New Jersey and Fairfield County, Connecticut. She and Clark Halstead together founded Halstead in the Fall of 1984. Their vision for the company was a high-end firm that utilized advanced technology combined with old fashioned elegance that covered all segments of the market and was located in the communities that they serviced.